US-led Coalition Collapses: Denmark Pulls F-16 Jets 5.3 out of 5 based on 10 ratings. 10 user reviews. The Danish government has decided to withdraw seven F-16 fighter jets, which took part in an operation of the international coalition against the Islamic State terrorist group in Syria and Iraq. The Danish authorities intend to withdraw seven F-16 fighter jets, which took part in an operation of the international coalition against the Islamic State (IS) terrorist group in Syria and Iraq, the RIA Novosti news agency reported. A military commission, which investigated incidents of the US, reported that Danish aircraft participated in an airstrike of the coalition on September 17, when a number of Syrian soldiers were killed. Danish Foreign Minister Anders Samuelsen and Defense Minister Claus Hjort Frederiksen decided to withdraw the fighter jets after publication of these data. Reportedly, the aircraft will return to the country in mid-December. At the same time, the Danish government announced that it is going to expand its assistance to Iraq in counseling on engineering and construction works, which will be carried out by about 150 specialists. As it is known, warplanes of the Danish Air Force started to carry out airstrikes on IS terrorists in Syria and Iraq within the framework of the operation of the US-led coalition in August of the last year. On September 17, fighter jets of the international coalition bombed Syrian troops, who were surrounded by IS terrorists in the area of the Deir ez-Zor airport. As a result of the four airstrikes, 83 soldiers were killed, while more than 100 others were wounded. Looks like those ham has to go…. How can someone be named Brad Isherwood and not be a flaming cocksucker ? Sounds like you have experience in that department. No …but am not dead yet, so who knows ? What a load of crap ….. you can eat what you want where you want. Thanks for the photo. In 10,000 ways they tell us that they come as conquerors and thieves but Westerners refuse to see this. Thankfully Quebec abandoned bill 59 in 2016. And in a Catholic Dominant Province! Work on that reading comprehension “Reportedly, the aircraft will return to the country in mid-December” home country Denmark…….. Probably to avoid legal persecution where Syrians have legal right to “arrest” those vehicles. Good news. 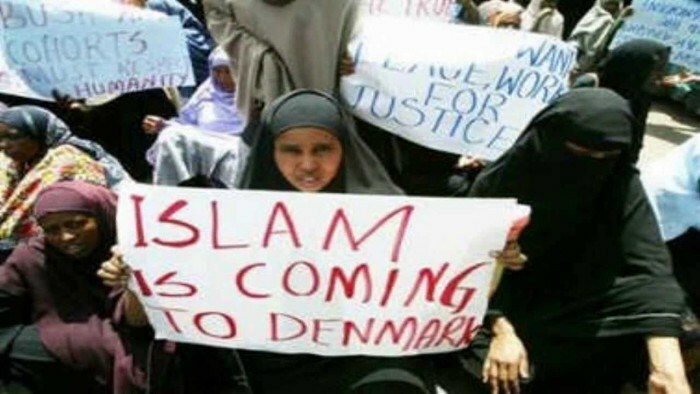 Sounds like the Danish are waking up to the truth. They’re not waking up to anything, they just know they lost so they’re going home with their tail between their legs. That seems reasonable. K2 to Denmark for knowing when to call it a day. We all knew from the beginning that ISIS was the creation of the West, in this particular case It clearly shows it tried to help them. Any country whose people have a shred of a conscience should get out of NATO and distance themselves from the warmongering US. The US is determined to get a World War going…and like the other two, we want it in someone else’s country…not ours. NATO is how they will accomplish this ….NATO is outdated and is no longer a “defense” organization, but an offense organization. The sooner NATO collapses, the better it will be for the world. I am so glad that more and more people see the truth and don’t believe this nonsense that our soldiers are protecting their homeland when we have not been attacked. The US government by it’s words and actions has undeniably fomented terrorists/terrorism. It has aided, trained, supplied terrorists, according to and in violation of 18 USC 2331 and 18 USC 2339! ISIS is the US govt’s proxy army! John Kerry publicly stated that the US government has no legal basis to even be in Syria! Vic Pittman said it all. Europe needs independence from the USA. Friendly relations is one thing – Thralldom is quite another. Canada , pulled their jets last spring , now Denmark , the braver colonies at least make a move towards independence .